The next edition of METEF, Expo of Customized Technology for the Aluminium, Foundry Castings & Innovative Metals Industry, will be held in Verona (Italy) from 21st to 24th June 2017. During the exhibition it will be possible to have a first‐hand experience of the best market solutions in terms of commodities, machinery, plants, systems, products, applications and recycling equipment. A special attention will be dedicated to the AUTOMOTIVE and RECYCLING sectors by staging top‐level initiatives and technical conferences where excellent companies will present their contribution in terms of innovation and competitiveness. METEF and its advanced trade matching services are a real chance to promote B2B meetings. 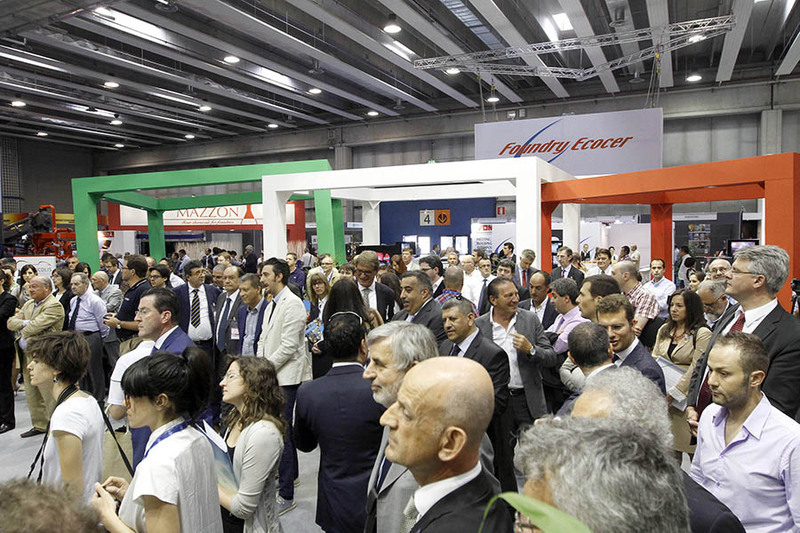 Last edition of METEF confirmed the value of the show on the international arena of the sector expos with over 400 exhibitors, 30% of which coming from 38 foreign countries, trading delegations from 20 foreign nations, over 10,000 visiting operators, 32% of which from 60 different countries, Germany first followed by Turkey, Iran and the Western European countries, all being strategic markets searching for quality technologies and specialization. For the next edition METEF intends to establish itself once again as a proven instrument to promote metallurgical manufacturing know‐how related to complex themes characterized by very fast dynamics and constant evolution.